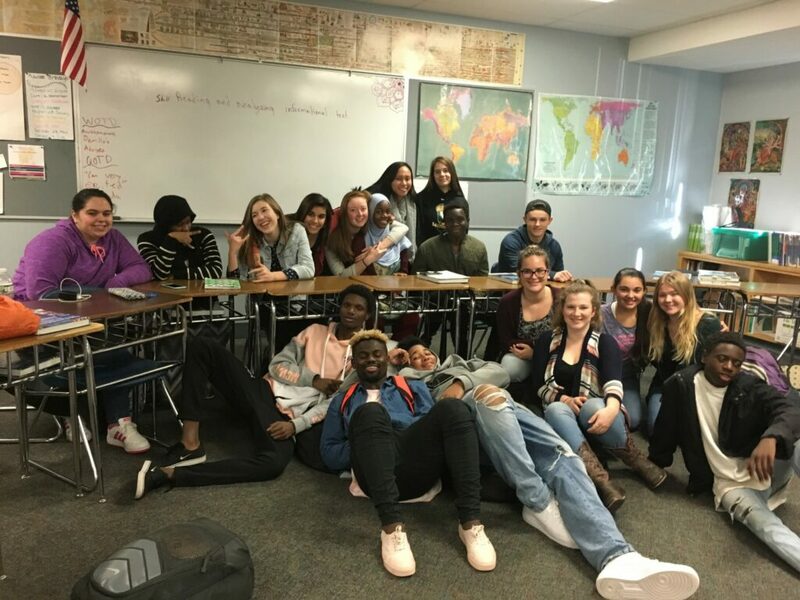 On the brink of their first visit together four years ago, the Lewiston students – of diverse races, religions and countries of origin – feared their counterparts from Maranacook Community High School would be rich and racist. On the other side, the Maranacook students thought “urban” Lewiston would be drug-filled and dangerous. Now these students, more than a dozen from each school, know their fears were unwarranted. Now they see each other as more than part of an unfamiliar group. They are individuals now – Mainers all – each with their own stories, passions, hopes and fears. Soon, the duo realized they didn’t need to leave their home state to find those kinds of misconceptions. So the project was launched, with Lewiston (enrollment 1,500) and Maranacook (about 400) as the trial case. The students taking part in Operation Breaking Stereotypes, mostly freshmen when they started, have met once each quarter throughout their entire high school careers. Some have come and gone, but a core of students have completed all four years, starting with group projects and team-building games at first and leading to outside friendships – chatting online, meeting at mutual high school athletic events, even a series of sleepovers. Operation Breaking Stereotypes finishes its pilot project at a time when that sort of understanding and perspective is sorely needed. Racist ideas have entered the political mainstream, and racists are emboldened. Acts of organized and casual hate are seemingly on the rise, including in Maine schools, where, according to the Maine Attorney General’s Office, there are more reports of racism than at any point in the last 12 years. The influx of immigrants and refugees to Maine has provided an opportunity to those who wish to separate and exploit us based on our differences. The same impulse nationally has found a voice in President Trump.